Mr. Knepper’s room is one of a handful of classes in our building where students can go to truly express themselves. Many learning for life students also find their way into the art hallway as well, looking for the same thing. 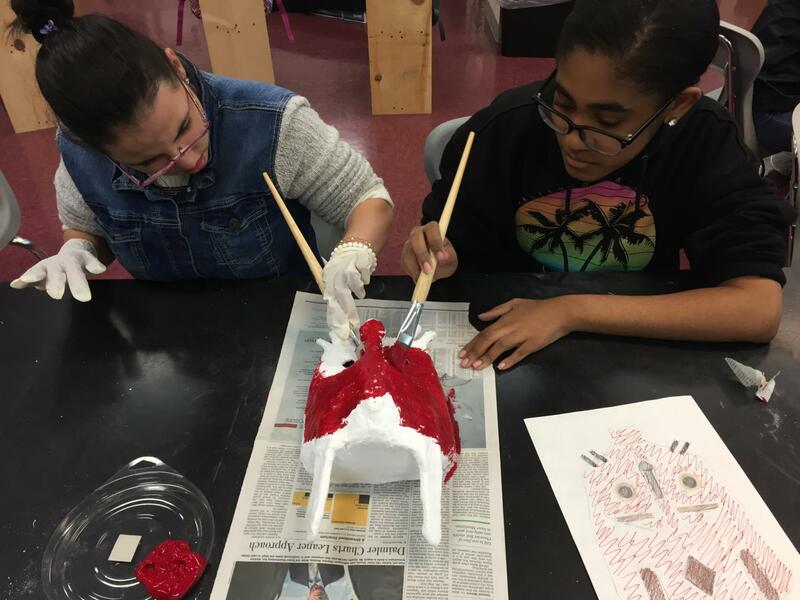 Whether in Ms. Reed’s class to sculpt or Mr. Keeper’s class to paint and draw learning for life students tend to be scattered across multiple classes which means they don’t have the ability to all learn together in an environment built for them. It was in that spirit that Mr. Knepper has created the precursor to a Unified Arts Class. 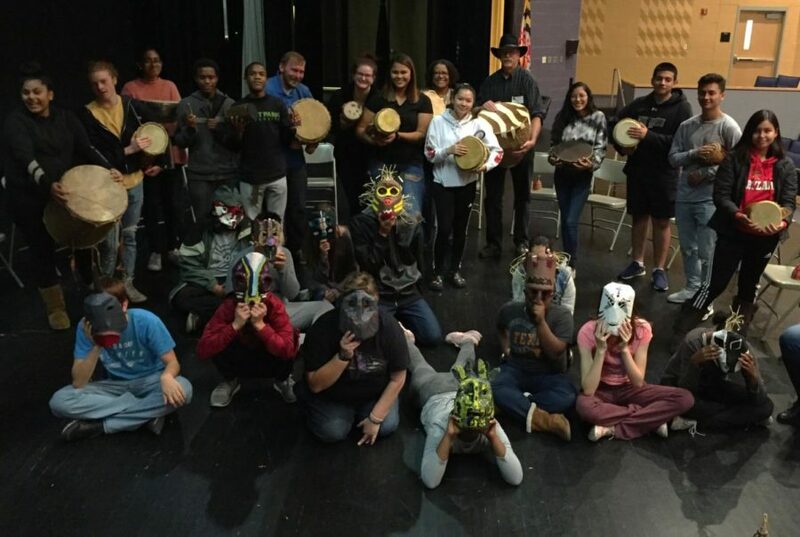 Mr. Knepper has been teaching at Tuscarora for 3 years now and since his first year at the school he took note of a need for a constructive arts class built for, and focused on, our learning for life (L4L) students. Mr. Knepper explained that he felt L4L students needed to be surrounded by positive influences while taking part in a class geared for their learning styles that will allow them to take the most they can away from an art class. He also explained how it was important that those general education students who want to should have the chance to experience what it is like to guide L4L students through their classes. So Mr. Knepper pitched the idea to the curriculum specialist and as of this year the class has finally come to life. While the class remains unlisted as of now, due to it still being in a the pilot phase, his fourth block has now become as close to a perfect place as can be made for L4L students who want an artistic outlet. Mr. Knepper has recruited for his class multiple students who he has taught in past years to act as guides/mentors for the other students in the class. 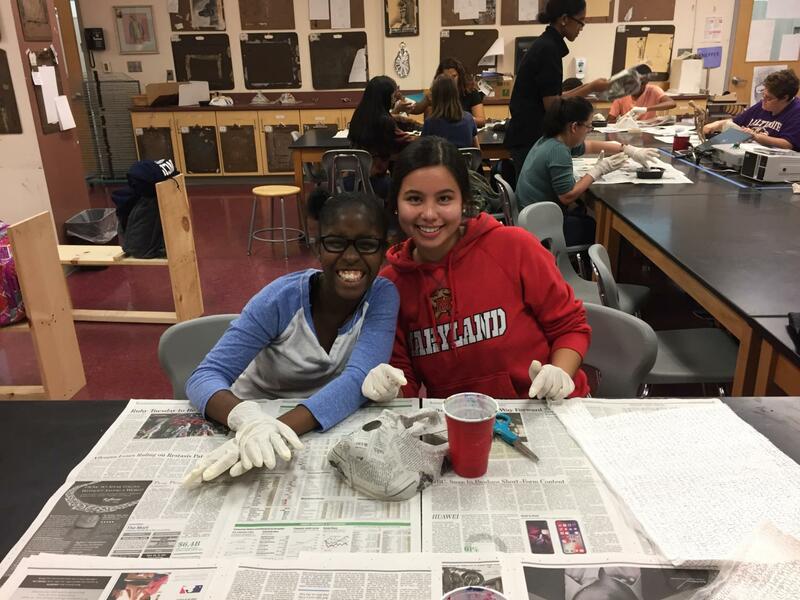 Abby Hampson one such mentor, who is a junior this year, said of the class and its students that “It’s a class where students get to learn different types of art and express themselves how they want. It gives them the freedom to paint what they’re thinking and feeling about that they can’t explain to anyone”. Molly Terra another mentor and a senior this year said that “It’s a fun class that lets the [learning for life student] have a spot to express themselves and learn more about art”. In terms of what Mr. Knepper hopes to see of his class giving it more structure and expansion is most definitely the next step. Within the next year or so he hopes to see this happen with the program hopefully going county wide to applicable schools. In the ideal situation Mr. Knepper will be there to help write the curriculum for the class as it becomes more formalized. 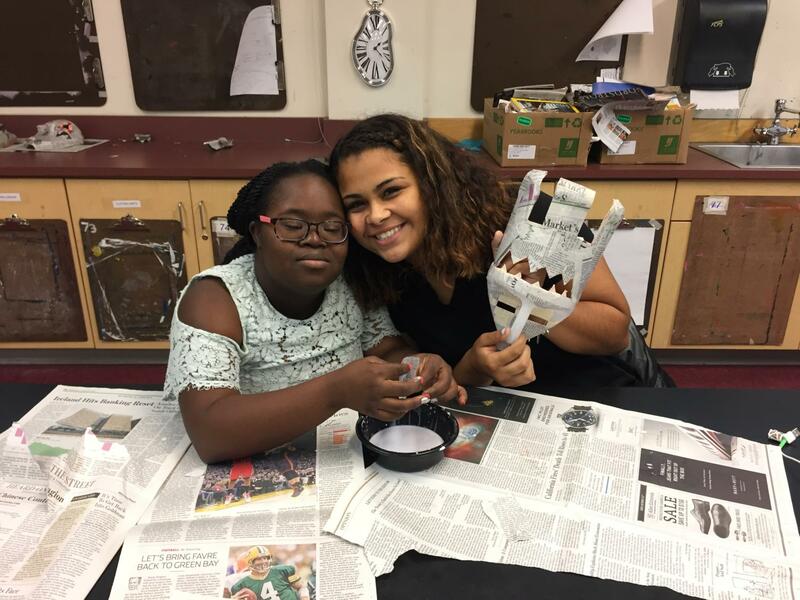 For those who wish to be part of Unified Art next year it is available only to those who have previously had Mr. Knepper as a teacher or who have real history with drawing or painting. If you satisfy these requirements talk to Mr. Knepper, in room A-210 to see what you can do.